My Virgin Domino’s Pizza Experience! I don’t exactly love Pizza (it’s not a Domino’s Pizza thing) but due to my work with Chiropractic. You know, fast-food isn’t exactly healthy food… And I ain’t a big eater, Pizzas make me bloated after 2 slices, and I will waste the rest if I’m eating alone. 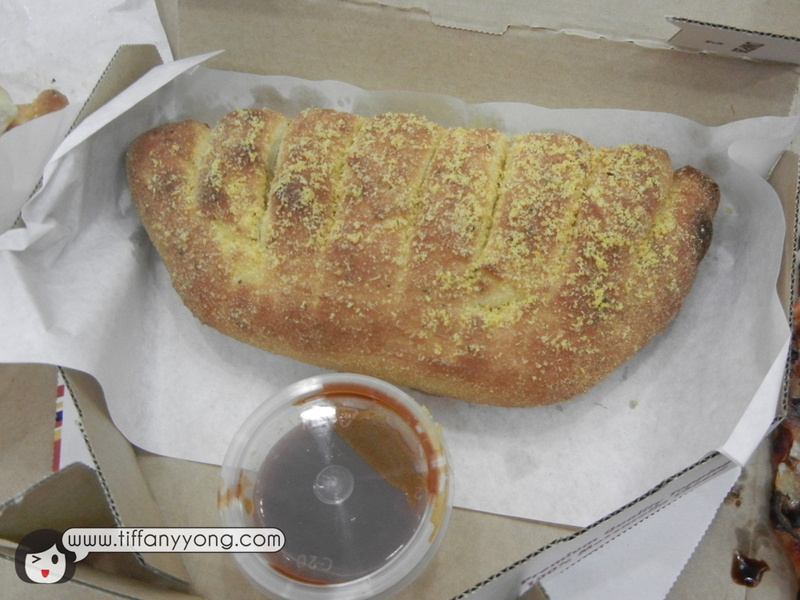 But looking at the positive reviews from many other bloggers prior to this event made me look forward to tasting one (if not more) of Domino’s Pizza. IT WAS AWESOME. 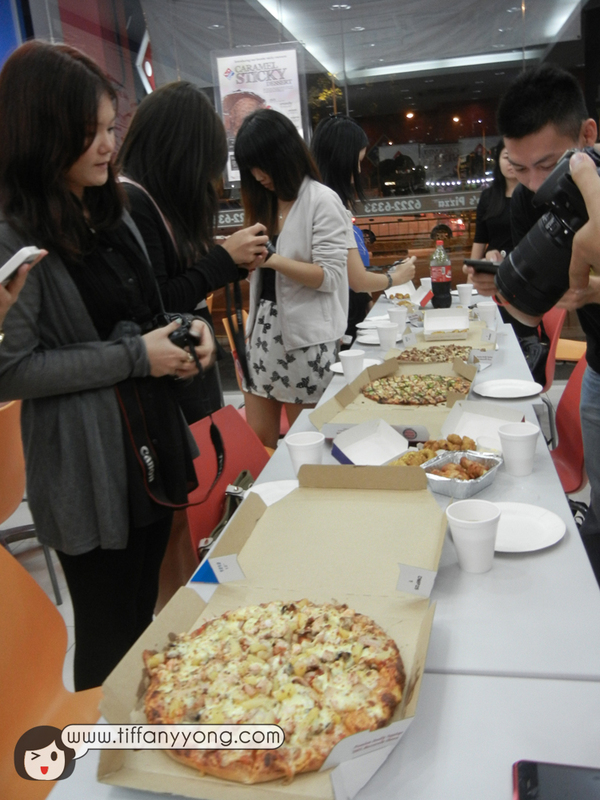 I ate 5 slices of different flavours + appetisers + dessert! 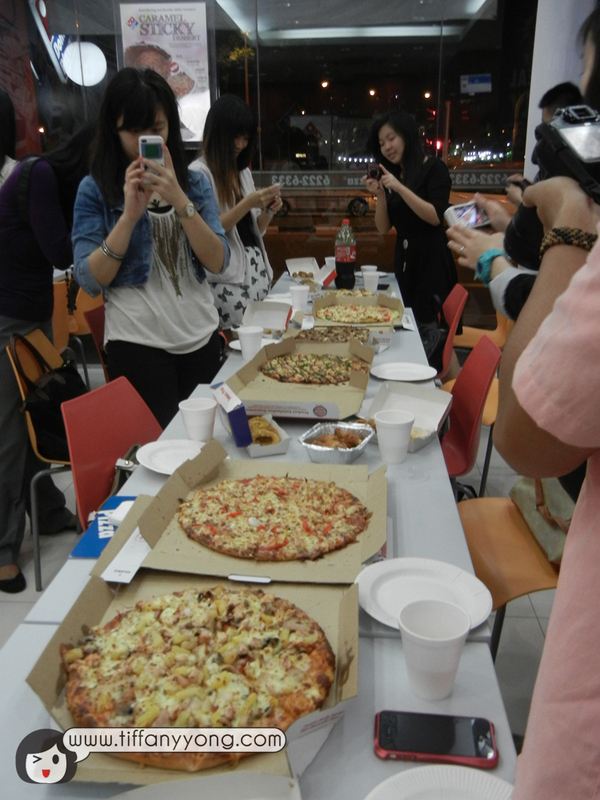 This is my first time eating Domino’s Pizza, and it will DEFINITELY NOT be my last! There’s so many things I wish to share from the event… and I guess I will overload everyone if I squeeze them into one blogpost. 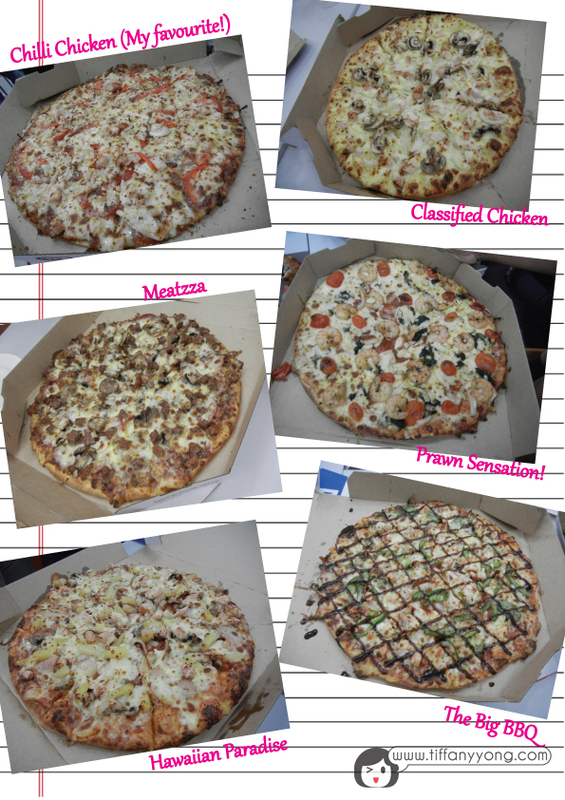 So I shall split them into a few post~ here I will talk about the overall review for da Pizzas! 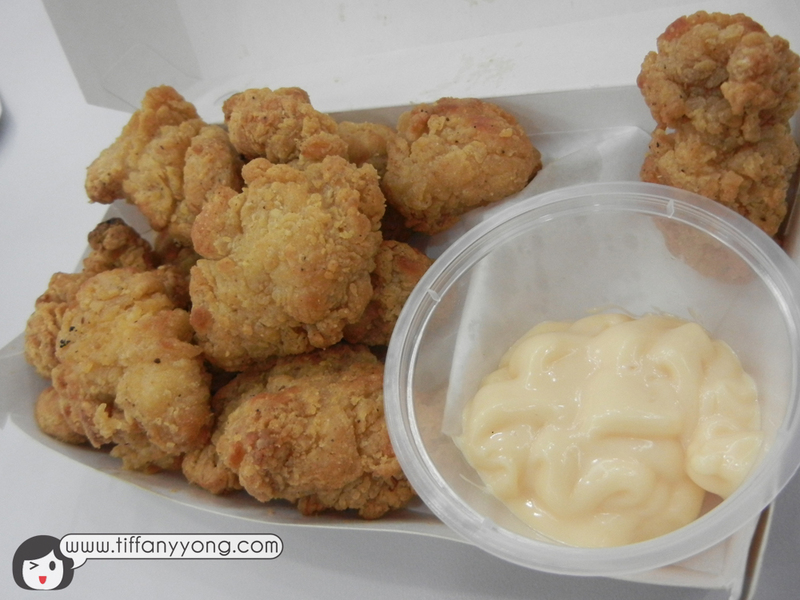 The Chicken Crunchies are CRAZILY Nice! I used to hate eating Chicken, simply because of the “fatty” experiences with fast food restaurants, where the fried crust + chicken skin + fats make up 90% of the finger food. 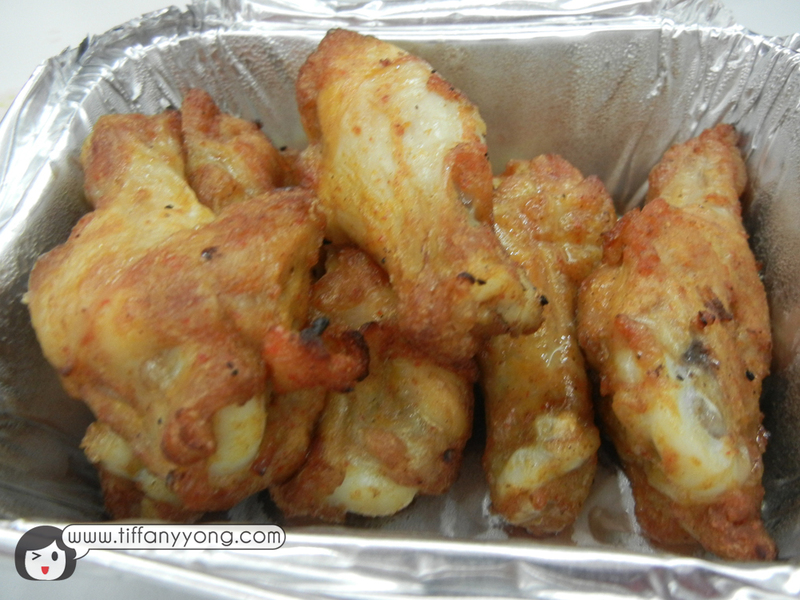 But here, these chicken crunchies are meaty and not oily! I guess there must have been countless bloggers raving about Domino’s Pizza, so I shall skip the mouthful-by-mouthful tasty description of each Pizza and go for my few favourites! Chilli Chicken is definitely my favourite! The thin crust made it hard to pick up when it’s just out from the oven, simply because it was OVERLOADED with yummy toppings! 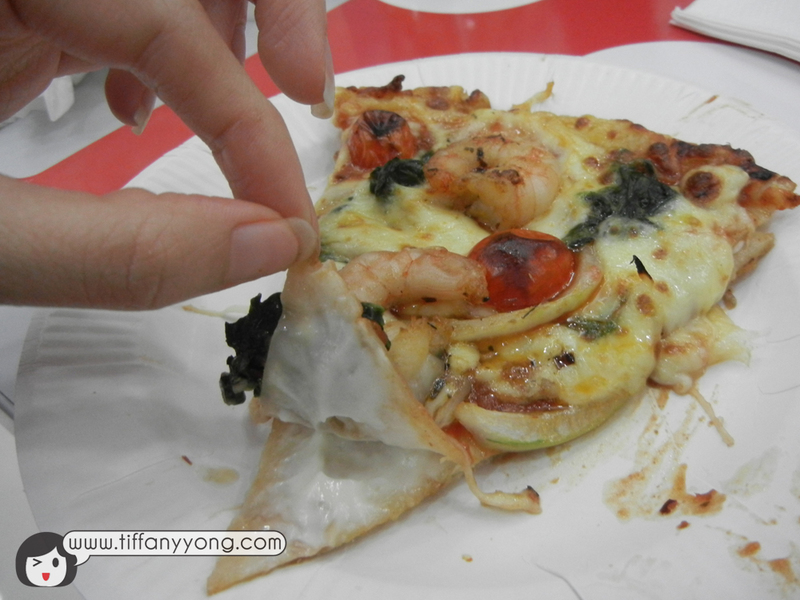 The most memorable part was the juicy sauce I tasted after the thick layer of cheese. The surprise level was definitely there! DO YOU KNOW that in Domino’s Pizza, every pizza has equal generous amount of 100% mozzarella cheese loaded because of the unique belt driven pizza oven they had? Also, all the Pizza making process are tracked by CCTV to ensure Product Satisfaction Guarantee! Domino’s Pizza has 3 unique pizza crust and the staff has considerately cut the pizza differently according to the type of crust! This is to ensure customers have an easier time taking and munching down their favourite pizza! 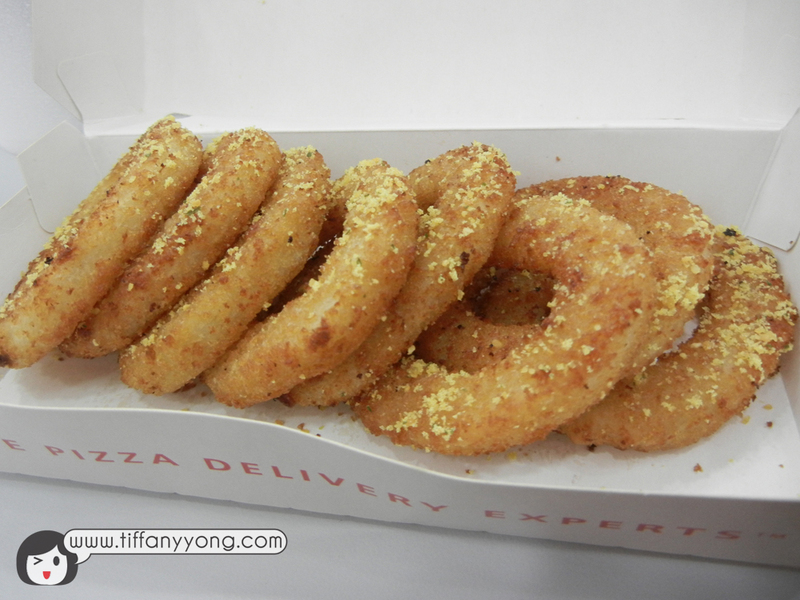 Prawn Sensation Cheese Burst! 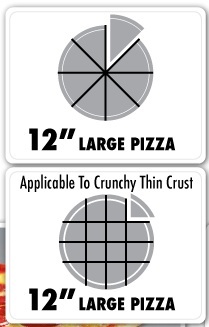 Double layer of thin crust! 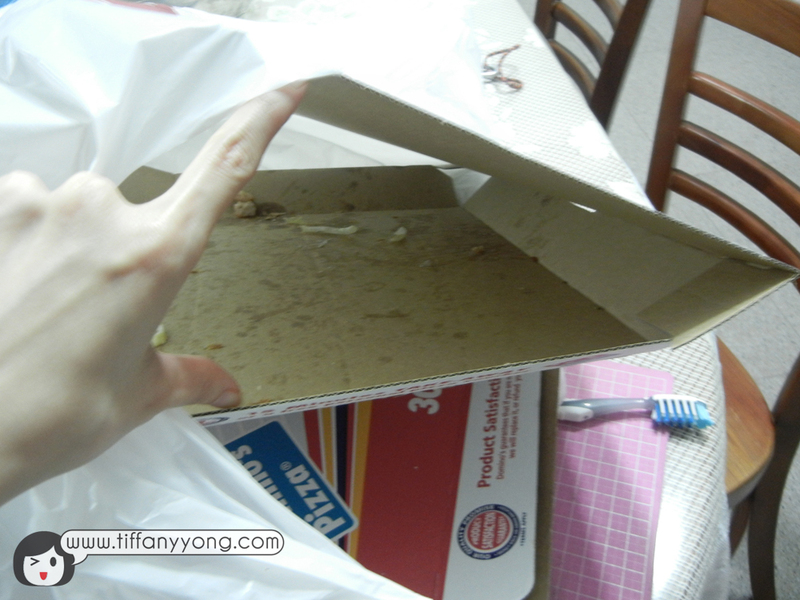 Remember how your pizza box will be full of oil stains after leaving it to cool for an hour, I did an experiment and here’s what I see… No stains! Ad I was surprised to see no oily fingers too. 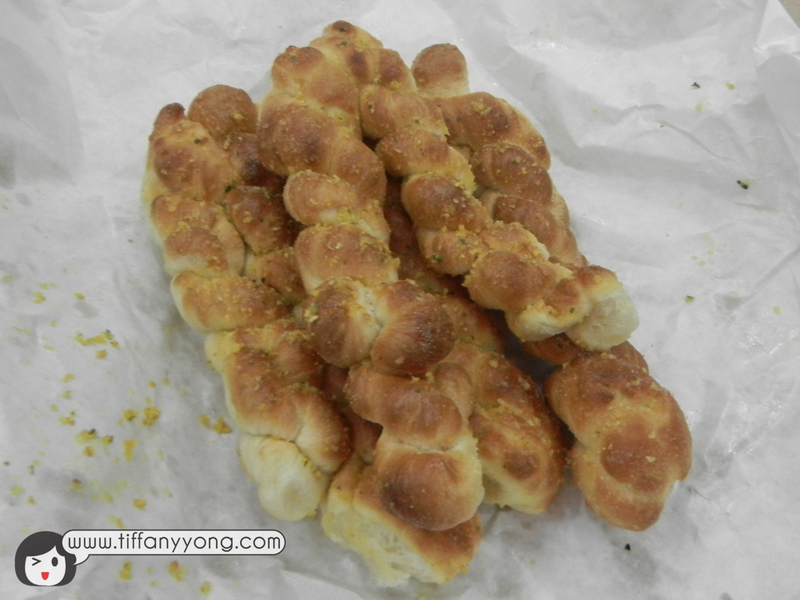 The marketing manger of Domino’s Pizza Singapore & Malaysia, Linda Hassan said that all their pizzas and side dishes are oven baked and instead of greasing with oil/butter, their crust base are powdered with corn flour, which explains why they are not as oily as normal pizzas! Definitely a place I will recommend people to come if they need a healthier alternative to indulge! Or should I say Pizzassss of the Day? 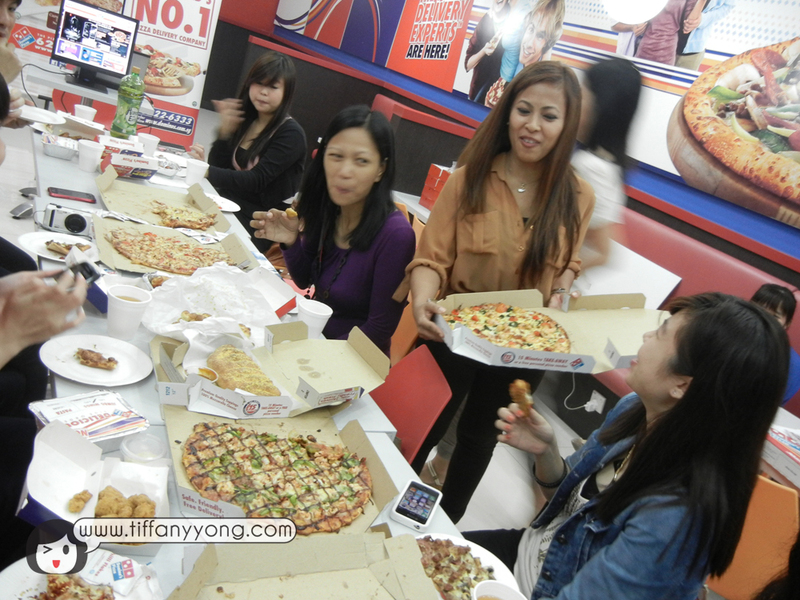 Group Photo of all Bloggers with Domino’s representatives! 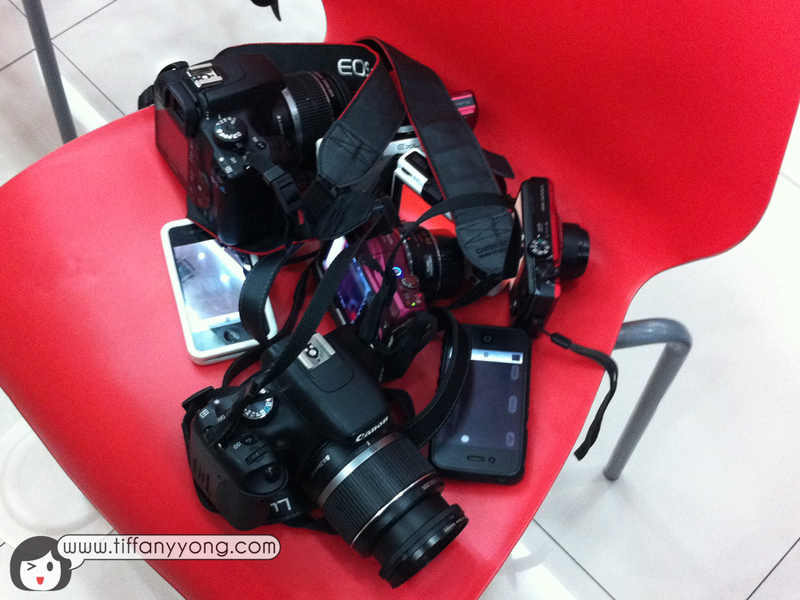 The number of cameras waiting to start taking photos! All gone in less than 10min! No monetary compensation was received for the food review. All opinions are my own. 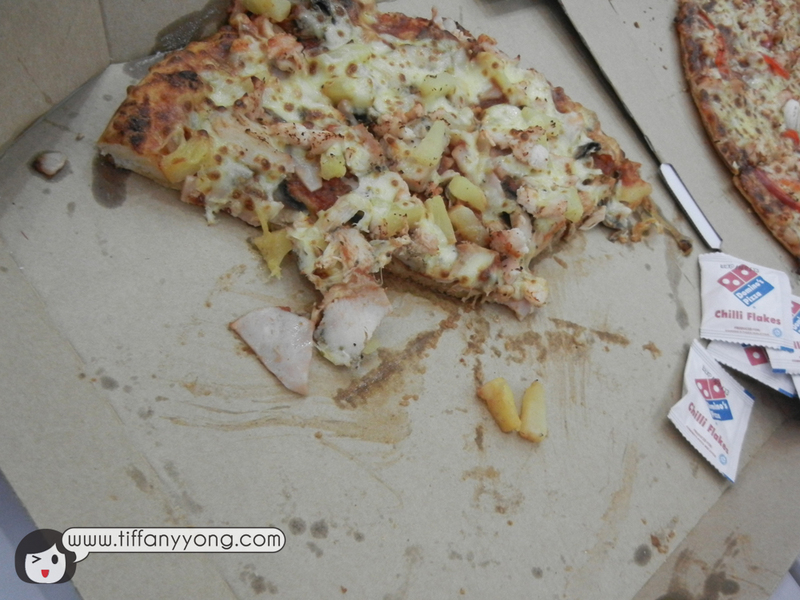 » Food » My Virgin Domino’s Pizza Experience! 3 Responses to My Virgin Domino’s Pizza Experience!